This week's new issue of American Vampire marks one year since the launch of the popular and highly acclaimed Vertigo horror series. 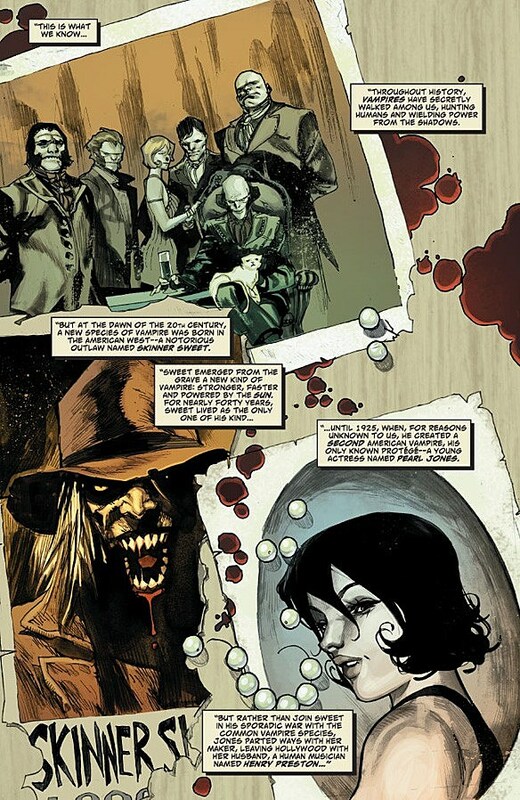 Created by Scott Snyder (Detective Comics) and Rafael Albuquerque, the series traces the lineage of a uniquely American breed of vampires throughout the nation's history, touching so far on the Old West, Old Hollywood and Old Las Vegas. 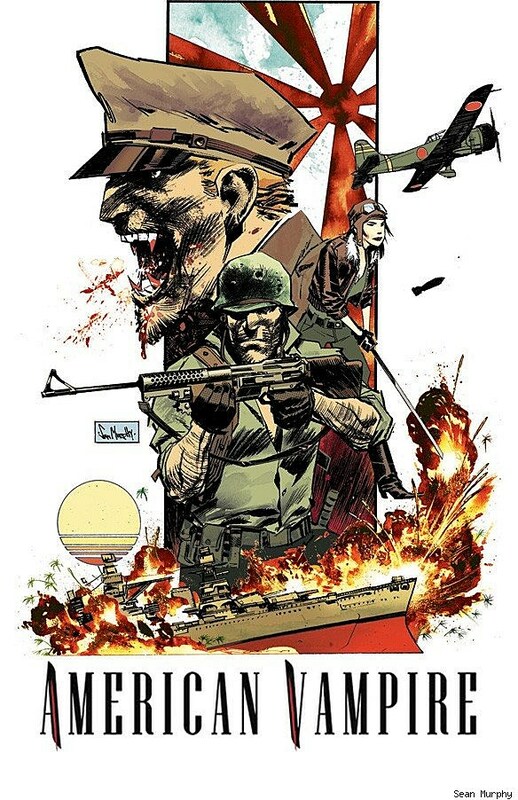 On sale this week, American Vampire #13 tells the story of vampires among the American forces in the South Pacific during World War II. Vertigo is hyping this new storyline as a "PERFECT" -- all-caps! 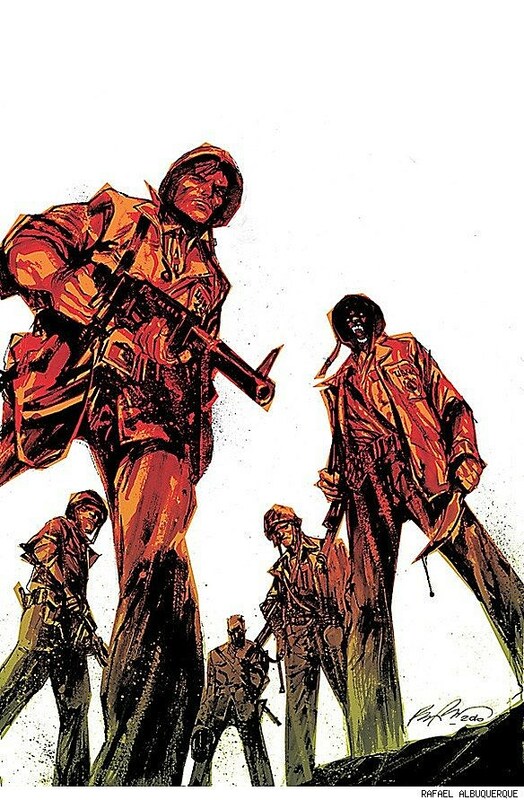 -- jumping-on point for new readers, and we've got a preview to back it up.The first five issues of American Vampire included supporting material written by Stephen King, which is about as prestigious an endorsement as any horror comic book could receive. 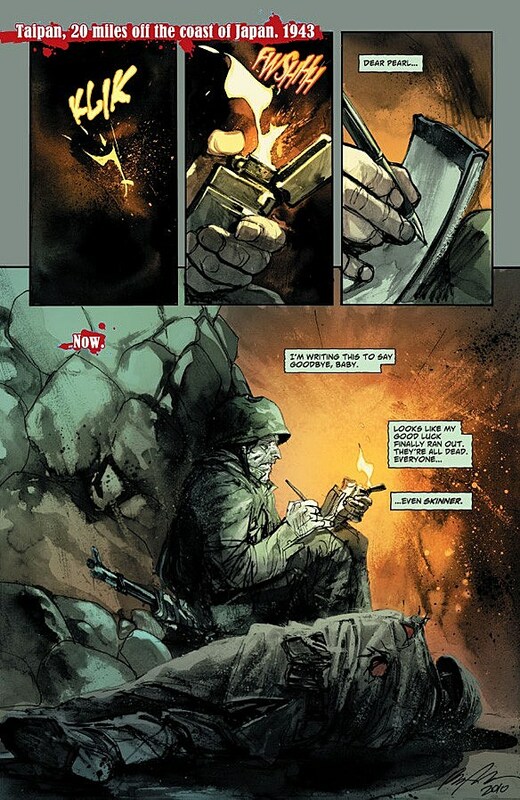 Soctt Snyder is one of the more interesting new writers working in mainstream comics at the moment, as evidenced by the routinely positive reviews of his American Vampire and Detective Comics and the anticipation for his Batman: Gates of Gotham miniseries with Kyle Higgins and Trevor McCarthy. If you like the preview of American Vampire #13 below, there's there's lots of other material to get into. 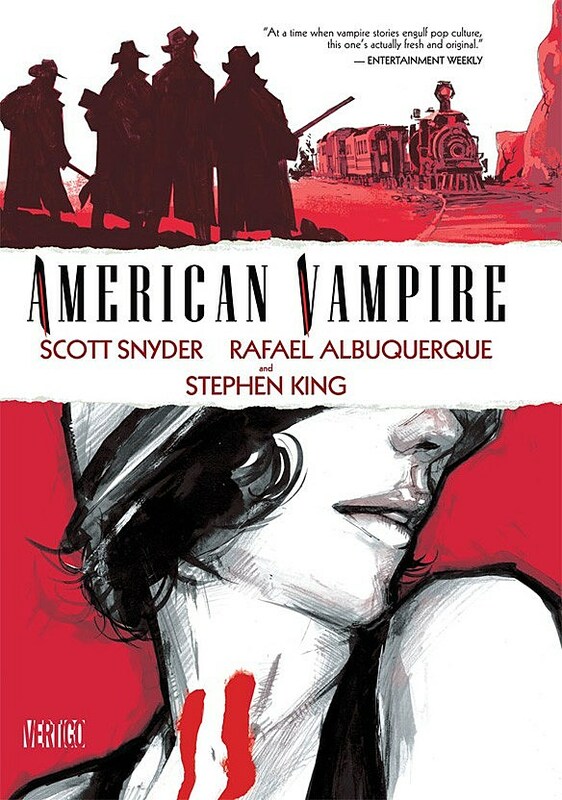 The first issues have been collected as American Vampire Volume 1 and is on sale now. Volume 2 is coming in May, followed by American Vampire: Survival of the Fittest in June. 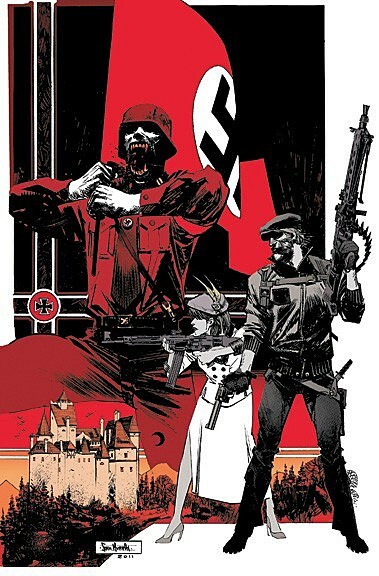 The five-issue spinoff miniseries features artwork by American Vampire cover illustrator Sean Murphy and details the search for a vampirism cure behind enemy lines in Nazi-occupied Romania. 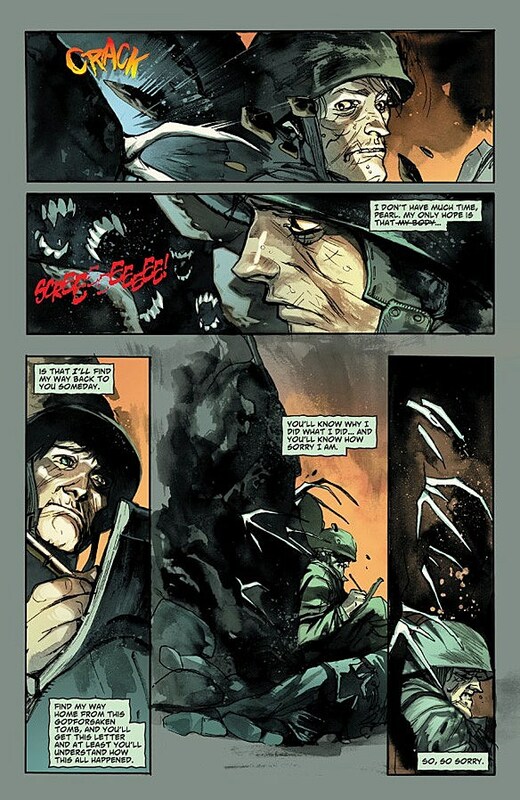 Part 1 of the AMERICAN VAMPIRE World War II Epic begins here with a tale of heroism – and horror! Hawaii, 1944. 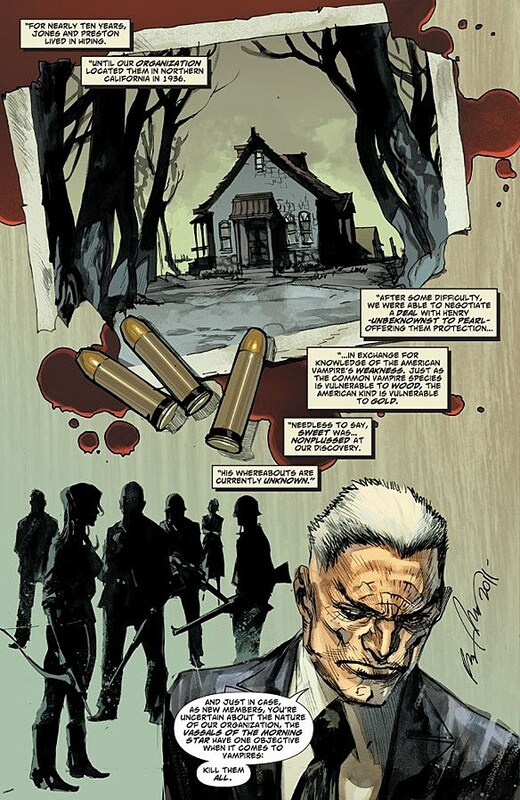 For nearly two decades, Henry Preston and his wife, American Vampire Pearl Jones, have tried to live a quiet life. But with war raging overseas, Henry feels he can no longer live in the shadows, and makes a deal to join a covert mission to a remote Japanese island – an island inhabited by an enemy far more dangerous than any Axis powers. It's the war in the Pacific like you've never seen it before with Pearl, Henry and Skinner Sweet at the heart of it all and more fangs and blood than ever before.